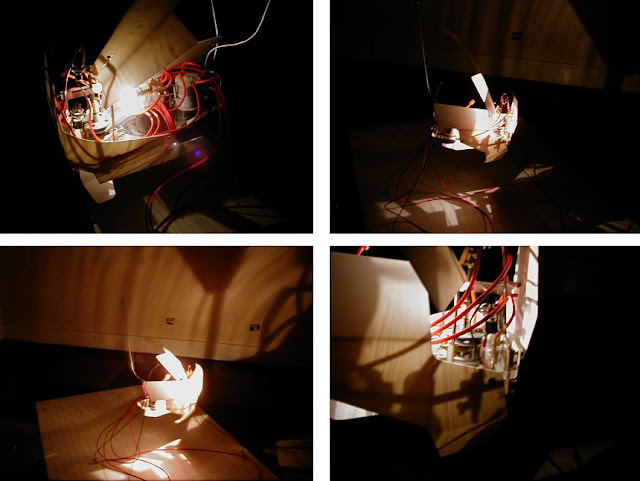 The device exemplifies the role of the parasite in a commensalist relationship with the host as it explores the spatial relationship between body and machine. 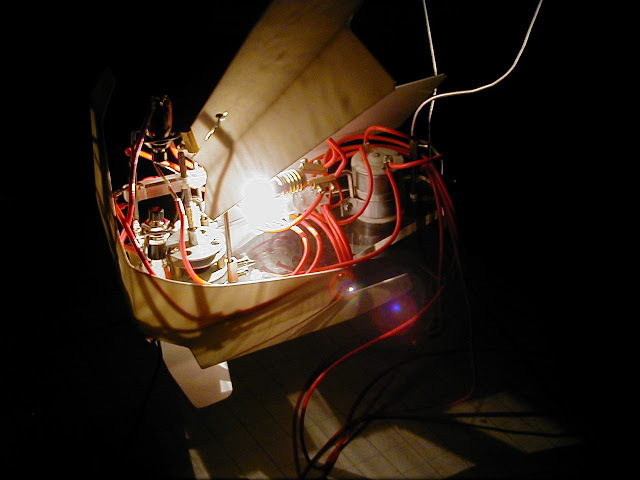 Maintained alive by the breathing rhythm of the host (body), the device reacts to this rhythm by elevating its shell and by moving on the ground. If the rhythm pattern is stopped, the device enters in alarm mode and stops moving, while still lighting up. If the breathing is not restored, the device unplugs itself and shuts itself off, literally "dying". At this point in time, the host is blindfolded by the headset, therefore missing the positive feedback that a host receives from it's parasite in a commensalist relationship. Once this state is reached, there is no possible way that restoring breathing, can bring "life" back to the device.